If you are a Fly Tyer like me you see materials everywhere. Craft stores make your head spin, every aisle creates a flurry of ideas in your head. I can never have enough materials, I have a junk material bin that has little samples of material ripped and snipped off anything that made me think of “Ooh I could use that as a ________ , when Fly Tying” Wings, Legs, Eye’s, Bodies, the list goes on. Here’s a substitute for those tiny spools of Mono Fly Trying thread. Looking at the line dia. Waspi UTC comes in 3 dia. 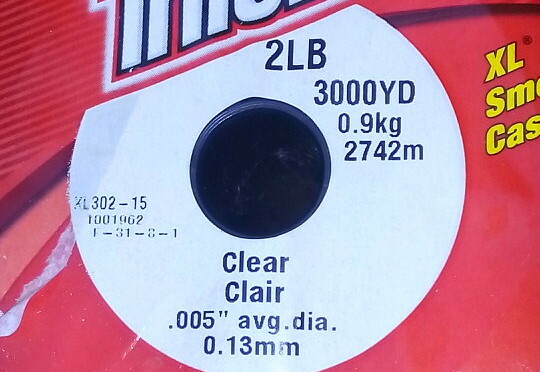 UNI Products UNI-Mono Clear Monofilament comes in 2, Fine and Med. 2lb – 6lb Monofilament line falls right in that dia. 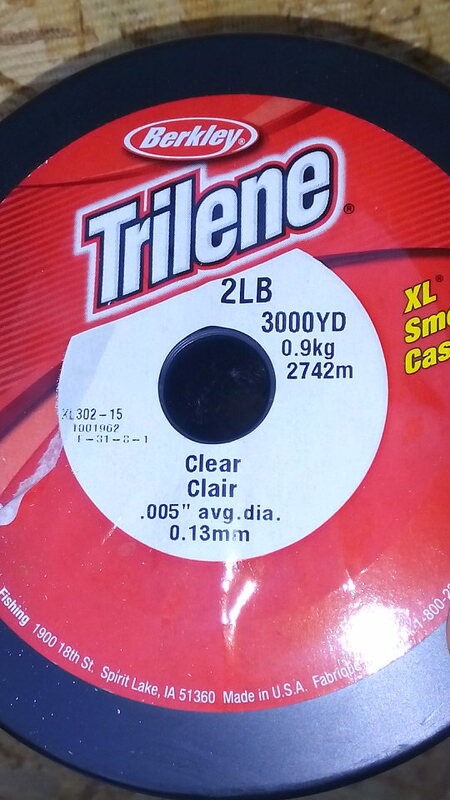 I scored this 3000 yard spool on clearance for $5, when a local sporting good big box store was closing their fishing section. 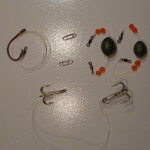 I’ve been tying teaser and larger saltwater patterns for a long time without any problems. I just re-use the empty spools. Hitting the monofilament line with a Sharpie marker makes changing colors real easy. 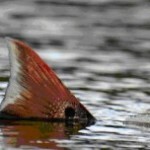 Just a few wraps of red adds a nice touch for a gill plate. 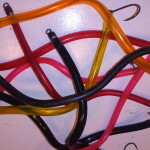 So keep and eye out for light tackle line, they could perform double duty on tying flies or home made leaders.